Armed with binoculars and telescopes, our crew recently spent the day counting. 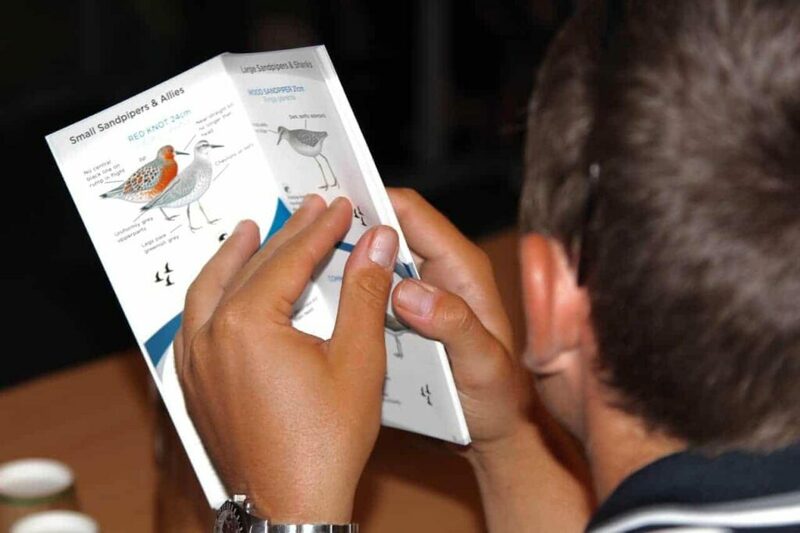 Counting shorebirds that is, as part of the national ‘Shorebirds 2020’ monitoring and conservation program. The initiative plays a crucial part in the Peel-Yalgorup Wetland’s* recognition as a site of ‘international significance’ under the Ramsar Convention on Wetlands (1971). Retaining this important protective status occurs through an official ‘count’, conducted annually, of rare shorebirds who migrate from the Northern Hemisphere via the East Asian-Australasian Flyway to Mandurah. 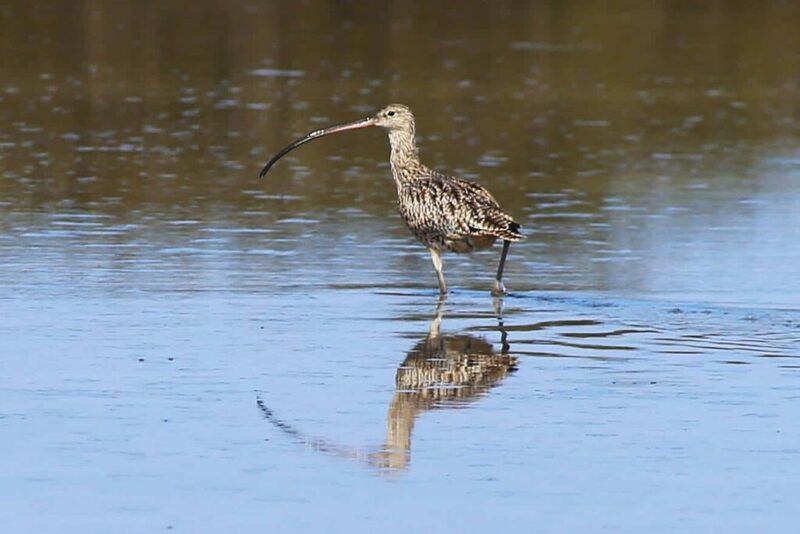 In the past, the Shorebirds 2020 program lacked resources needed to carry out counting in shallow, hard-to-reach parts of the Peel-Harvey Estuary. With our support – using one of our shallow-draft tour boats – closer, less restricted access to the birds was achieved for the first time in 30 years! Facilitated by the Peel-Harvey Catchment Council (PHCC) in collaboration with Birdlife WA, the 11th annual count took place in February 2018, spanning the full 26,000-hectare breadth of the Peel-Yalgorup System. 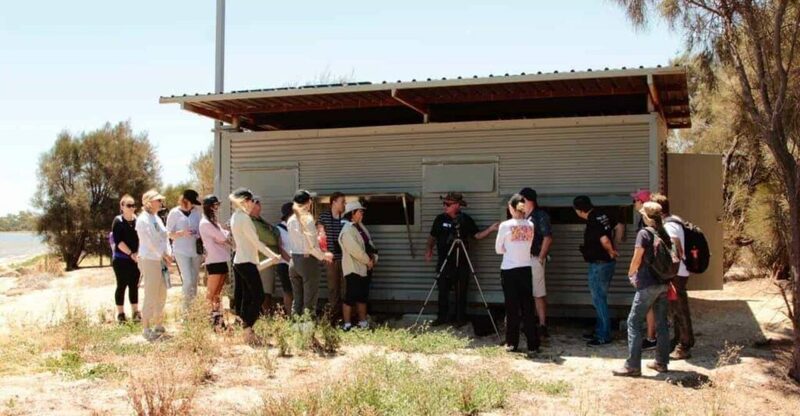 It was conducted by experienced ornithologists and birders with the help of 57 trained volunteers, including 5 Mandurah Cruises’ staff. 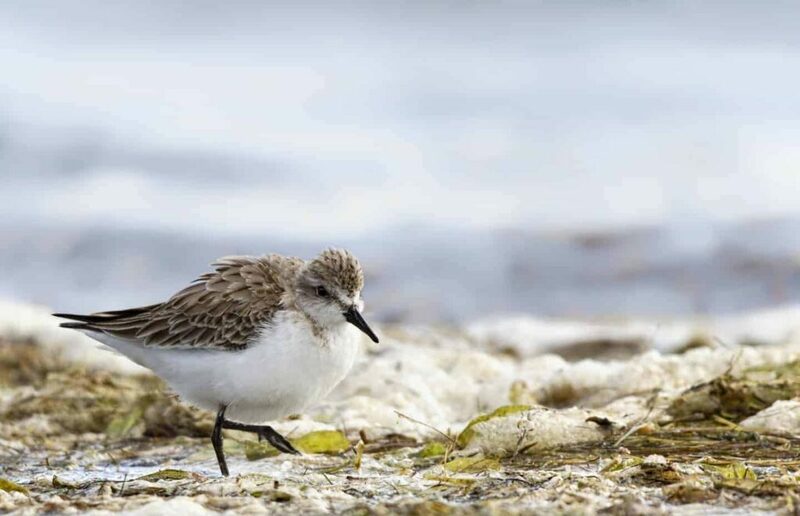 The collected data is currently being collated for submission to national conservation body, Birdlife Australia, with exact statistics on shorebird species’ numbers to be publicly announced in the coming months. Global data suggests that habitat damage is one of the biggest threats to shorebirds using the Flyway, with serious impacts associated with urban development and recreational activities. 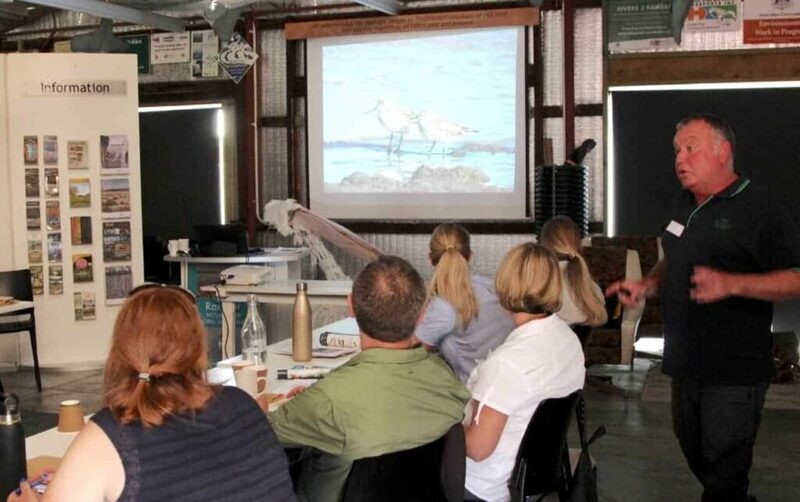 “The shorebird count plays a major part in local conservation efforts, helping to inform national population trends and assist with information around what is driving any population changes here and across Australia,” said Mr Gulliver. “The extra resources and special boat access from Mandurah Cruises made a significant difference to the accuracy of the count. These numbers are essential in assessing the role our Ramsar site plays as habitat for migratory shorebirds,” Mr Gulliver said. 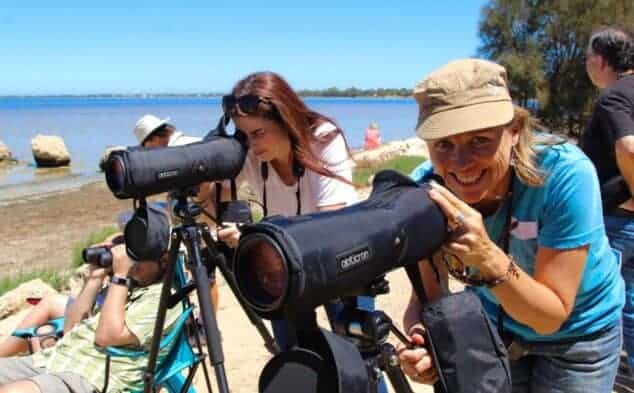 Mandurah Cruises’ support of the count also includes ongoing training of our crew members, plus sponsorship of the 2020 Shorebird Identification Workshop, run by leading ornithologist Bill Rutherford. The specialised training enables our team to promote important messages about conservation and sustainability to the general public. “Our crew are very well informed about the uniqueness of the natural environment here, in particular, about the fragility of the shorebird population. 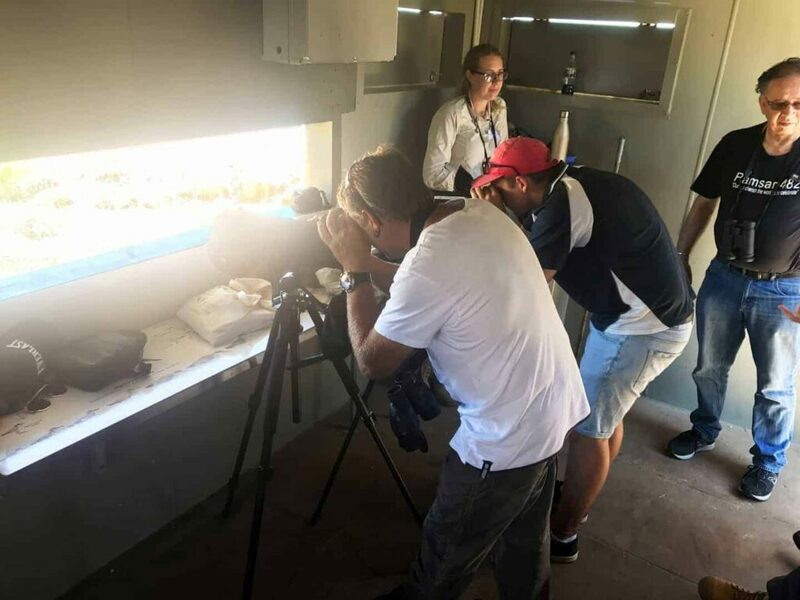 This allows them to share key conservation facts and to identify sightings of rare birds in their live commentaries on board our tours,” Mandurah Cruises’ Director, Myrianthe Riddy, said. A member of the Shorebird 2020 team, Mandurah Cruises’ staff member Natalie Goddard, said the count was fascinating to be part of. The Peel-Harvey Estuary is home to tens of thousands of waterbirds, including many rare migratory shorebirds. These birds, usually found wading in groups, feed on swamps, tidal mudflats, beaches and open wetlands. From October to March, thousands of shorebirds seek warmth and refuge in the area, travelling from as far away as Siberia, North China and Alaska. Among these transient species is the Eastern Curlew, with only 21,000 birds believed to be left in the world. Other fascinating species include the Common Greenshank and the Red-Necked Stint. This wonder of nature is keenly observed by visiting bird watchers from all over the world. This tiny bird weighs around the same as a Tim Tam (around 30 grams). It breeds in Siberia, then travels to the Peel-Harvey Estuary for our summer. Despite its size, the Red-Necked Stint embarks on a 25,000-kilometre round trip each year. It takes six weeks for these birds to travel more than 12,000 kilometres to breed in the north, then 12 weeks to travel that same distance to Mandurah. * The Peel-Yalgorup System sits within the Peel-Harvey Catchment and is made up of the Peel-Harvey Estuary and a series of saline, brackish and freshwater lake systems.